Retired New York City Law Department lawyer provides perspective on preservation throughout his four-decade-long career. 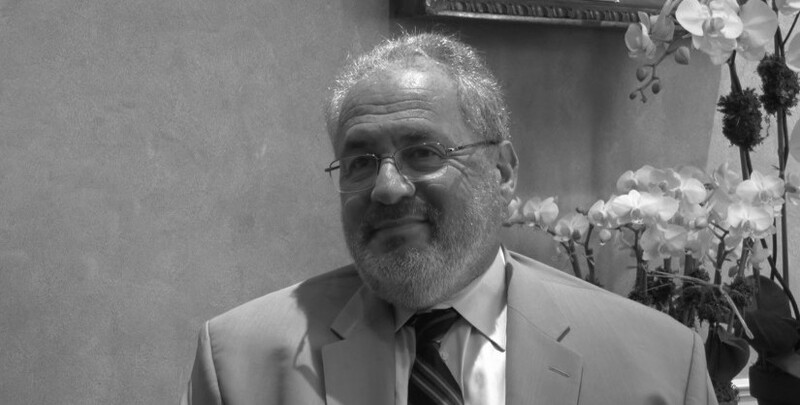 Gabriel Taussig joined the New York City Law Department in 1974. Having worked under five mayors, first under Abraham D. Beame and finally retiring during Michael Bloomberg’s tenure, he has a unique perspective on how preservation has been affected by the City’s leadership. He was involved in several important cases, including Parkview Associates v. City of New York and Clear Channel Outdoor vs. the City of New York. Both of these cases were about land use and helped to strengthen the City’s ability to enforce landmarks and land use regulations. A lifelong New Yorker, he comments on growing up in Queens, the historic buildings there, and the preservation climate, both in the past under the Board of Estimate and today. Q: Today is January 5, 2016. This is William Cook, with the National Trust Historic Preservation, here to conduct an oral history interview with Gabriel Taussig, an attorney who worked for a number of years in the Law Department of the New York City government for nearly four decades. We are conducting the interview at the New York Preservation Archive Project’s headquarters at the Kress Foundation in New York City. Gabe, thank you for joining me today. Q: I’m looking forward to our conversation. When did you join the Law Department, Gabe? Q: Okay. Could you tell me a little bit about your work in the Law Department and how your career progressed in it. Taussig: Sure. I was, from the very beginning, assigned to a division, whose name changed while I was there, but whose function was to represent the city, its agencies and employees in connection with litigation concerning the city’s regulatory activities. That ran the whole gamut from parking tickets, to licensing, to landmarks, the spectrum of land use issues, Building Department, Fire Department and the like. I started off as a staff attorney and over the years worked my way up the ranks, as it were, to becoming chief of the division. When I left it, it was the Administrative Law Division. Most of my time there it was known as the Administrative Law Division. Q: Okay. You retired when? Taussig: In October of 2013. Q: Thirteen. Okay. Thank you. A lot of people aren’t aware of this but New York City has, not only one of the largest law divisions or law departments in the country in terms of a municipality, but it’s also one of the oldest. Q: Or is the oldest perhaps [laughs]. Taussig: I suspect it might be, I don’t know that, but there are several histories that have been written that are quite fascinating, they parallel the history of the city and the Law Department. Q: Yes. Just to be sure, I’ve gotten the range of topic areas that you covered during your time in the Administrative Law Division that would including landmarking, which you mentioned, land use, housing, public health, public safety and licensing. Any other categories that you might think of? Taussig: Yes. In recent years, pensions. In prior years, Civil Rights cases concerning—not in recent past years, but earlier, Civil Rights cases involving the conduct of police officers, correction officers and the like. I think environmental issues, too. The office now, for quite a few years, has had an Environmental Litigation Division. But prior to the creation of that division, we did also some environmental related cases. Q: So your practice has included a wide breadth of issues. Q: Yes. I’d like to turn for a moment to a little bit about your biographical background. Q: If you could share with me where you were born and how you came to be in New York City. Taussig: I was born in Haifa, Israel. I came here with my family at the age of seven. My parents are both survivors of the Holocaust. My father’s family emigrated here and my mother’s family to then Palestine and then Israel. We came here to visit my father’s family and that was an extended [laughs] few years we stayed here. I was basically educated in the New York City public school system, went to Queens College of the City University of New York, Brooklyn Law School and then to my work at the Law Department. Q: Okay. Where did you grow up, in which neighborhood? Taussig: Not too far away from where I live right now, in Queens in the Kew Garden Hills area of Queens. Q: Yes, it’s a beautiful neighborhood. I’ve had the pleasure of visiting it a couple of times on my own. What were some elements of it that you like or remember most fondly? Taussig: The word wasn’t in vogue then but it was a very diverse place to live. My best friend was Asian. We played with people of Italian heritage, Irish heritage, and weren’t aware of that fact. Taussig: My childhood had idyllic moments. I recall summers where we would bicycle up to a structure that no longer exists. It was called The Aquacade, which was part of the ’39 World’s Fair and turned into a public swimming pool, and we would go swimming every summer morning, as I said bicycling down there. Tom Sawyer-ish qualities to that. I remember the ’64 World’s Fair. Again, it was pretty close by. It kind of stood out in my memory in that regard. School was always exciting. As I said, I went to local schools. I attended Jamaica High School, which was an exceptionally fine school when I was there. I had a great experience there. Q: Yes. What do you remember or what was most striking about the built environment to you in Kew Gardens? Taussig: I don’t know that as a child that that was something that particularly struck me. What I remember then and am kind of aware of now, because I pass it quite frequently and because I have some friends who live there, was Parkway Village. It was a post war community that was essentially built for United Nations employees. It had vestiges of that still when I was older. I mean, I didn’t live that closely to it, but as I got a little older I was there quite a bit. It struck me because it was the only kind of cohesive community in that respect that I knew. Q: Yes. Do you remember a time where you were first impressed by the architecture of a building, or do you have a favorite building or two or three in New York City? Taussig: I think as a child I was more impressed by the skyline, as it were. Going to and from Queens, those vistas always struck me, especially at night. But otherwise in terms of actual buildings, I guess United Nations, Empire State, those buildings stand out in that respect. While in Law School, I had an internship with the New York State Attorney General during the summer that they moved to the World Trade Center. I was one of the first occupants. That building impressed me, not necessarily in a positive way. I was a little older at the time, of course, but that’s something that pretty much stands out in my memory. Q: Yes. What drew you to law? I know this is a broad question but how did you end up in law as a career path? Taussig: I can’t think of a definitive moment. It was a function of my general interest in what we used to call current events and social studies. That’s what I gravitated to throughout my educational career, and law seemed to be a natural extension of that. Q: Yes. What if I were to ask the same question about historic preservation? Taussig: It found me. I didn’t look for it. I was assigned to a division where that work was being done and I started doing it. As I was doing it, it became more and more of an interest. Q: Yes. We’ll have a chance during the interview to talk about some of the cases that you were involved in. Do you happen to recall which one was your first, one that stands out? Taussig: Quite honestly, I don’t know that I handled, on my own, an individual case soup to nuts. For the most part, I supervised and oversaw the litigation. I was also frequently involved in matters that didn’t go to litigation but were the subject of interaction and counseling between our office and the Commission, and perhaps even sometimes City Hall. But no one case had my name on it exclusively. Q: I’m asking you to think way back, and it’s fine if you don’t remember, but do you recall your first preservation case, whether you handled it or not as an attorney or worked on a preservation case? Taussig: —and I don’t. I really don’t. Q: That’s fine. Fair enough. With whom did you work on preservation law related cases? I’m sure there were a number of attorneys. Are there any that stand out? Taussig: Well, you met one of them. Well, you met two of them in fact, and I worked with them in different capacities. Virginia Waters, who was one of the attorneys in my division, who from day one expressed an interest in these cases. She excelled in them and we tried to accommodate her interest in them. However, from a managerial point of view, we tried to spread the wealth so that other people also had the opportunity to handle these cases. Virginia didn’t handle all of them, but she probably handled some of the more significant and challenging ones. So Virginia is one. Len [Leonard] Koerner, who was my direct supervisor and also the head of the Appeals Division was a person we regularly interacted with in both strategies and appellate related issues that came up. Of course, there was Dorothy Miner at the Landmarks Commission whose name I’m sure has come up frequently in your conversations. Taussig: But she was the only attorney at the Commission, and the go to person. She was rather unique in many respects, not the least of which was her detailed involvement in the cases and the matters that we had to deal with. Q: Yes. It sounds like a good team. Q: A legal dream team for preservation law. Taussig: Another person who comes to mind is Robin Binder who when I retired—and is now retired too—was my deputy, but she was involved in several significant Landmark cases. Q: Is Robin still practicing law? Taussig: And I don’t know what became of that so I’m not so sure. Q: Do you know if she is still in the New York area? Taussig: Oh, yes. Yes. She’s on the Island. Q: No, no, it’s okay [laughter]. Taussig: There are several islands around here. Q: I come from an area of a lot of islands, so I just thought I’d double check. Just kind of probing some of your experience with historic places, do you remember visiting a historic site as a child or is there one that stands out, whether it’s a house museum or a landmark building, baseball stadium? Taussig: Well, clearly, over the years we visited the cultural institution of the city, which did include the Museum of National History, Metropolitan Museum of Art. The Guggenheim Museum stands out significantly. Q: We being your parents and family. Taussig: Yes. Oh, yes as a family but in later years, too. But, yes, in growing up, yes. I did not venture out on my own as a young child to Manhattan. But in terms of Queens, I’m drawing a blank on the name, but there is Colonial house in Jamaica, which I recall was in proximity to my high school. I’m just drawing a blank on the name right now, but I do recall being there. In Flushing, there was the [John] Bowne House, which functioned, I believe, as a museum at the time, too. Another structure, which I may be looking at more from now rather than the past, was the Flushing Town Hall. But I do remember that structure as standing out in its environment. Q: Yes. Do you consider yourself a preservationist? There is no right or wrong answer. Q: There are a lot of ways to define that. Taussig: I suppose so, but I don’t want to over sell that. Taussig: It’s funny because that was one of the first conversations I had with Dorothy Miner, because in our early dealings I had the sense that she did not necessarily feel that I was sufficiently committed to the cause as it were. Q: To be clear, she was counsel to the Landmarks Commission. Taussig: Yes. Yes. What I tried to convey to her, and I think I did, was that I am, if the word is, sympathetic, to the work of the Commission, while at the same time trying to keep an open mind so that I could properly serve the role as a counselor, so that I could assess the situation not necessarily with achieving a goal but with the view of making sure that whatever goal they identified is an awful one, that they achieve it in lawful manner. So, as I said, I’m sympathetic to it while trying to keep an open mind. Q: Of course, as you would as a professional, a legal professional. Taussig: Right. And quite honestly I think that predominated my thinking and my interactions, and then, once we had that conversation, we were fine and had a great relationship. Q: Yes. Have you ever been a member of any preservation organizations? Taussig: In my job, I joined nothing [laughs]. Just with the view in mind that I did not want to have any conflicts. Taussig: I was approached about joining the Community Board and local civic associations and I demurred for that reason. It was not until recently that I became a trustee of the Queens Library. Q: Yes. So in terms of your preservation law work, that work would have flowed directly from your work as an attorney within the Administrative Law Division. Q: Okay. There is a lot of discussion today at preservation conferences about why we preserve. To the extent that you have mentored us or have developed an interest in preservation, because of the cases that you have worked on, is there a reason or set of reasons that seem to be the most important to you? Taussig: About ten or fifteen years ago now, my wife and I took a trip to Europe. We went to Prague. We took a tour and it struck me how everything was just amazingly preserved. Having fought the battles that we fight in New York, fought and continue to fight, I discussed this with the tour guide. “How have you succeeded in preserving it the way it has? Aren’t the owners—?” And she looked at me like I was crazy. The whole culture, the whole sense of value there assumed that you keep it, you preserve it, and at least as she explained it to me, what I was describing as the tension between the property owners and the municipality was completely foreign to her. It just changed my thinking a little bit about what it could be, and how it could be, and how important it was because what I observed when I was wandering through those streets was amazing. Q: Yes. Yes. I felt the same way on my first trip to Europe. That’s even growing up near Charleston, South Carolina, where, for the United States, there is a lot preserved in terms of built environment. But I felt a sense of awe visiting European cities for the first time as well and being struck with the amount of history that had been preserved. Taussig: But also, how the culture accepts it. Taussig: I don’t think we are anywhere near that. The sense of values here are significantly different so that it’s not happening too quickly. Q: You mentioned that occasionally or maybe early on in your career that Dorothy Miner may have had questions about the commitment maybe of the city as a whole to preservation values. Was she instrumental in helping to educate lawyers within—? Taussig: She was crucial to it. She was completely committed to the Commission, its work, to preservation. She immersed herself in the cases. Quite honestly, she was involved in the case to the point that some lawyers pushed back because they felt that she was too involved. But I think she was vital to the attorney’s ability to understand the law as well as the specifics, or the merits, of the particular Landmarks Commission action. I couldn’t say too much about that. Q: Yes. I’ve always thought that a powerful feature of New York’s Preservation partner arm is that the Commission has a counsel. I know that even though Dorothy Miner is no longer there that Mark Silberman has continued in that role. Q: I imagine that’s it’s a great value to the city’s corporation counsel to have that type of expertise. Taussig: Absolutely. Absolutely. As I noted when we started off, the attorneys in the division handle a large spectrum of matters. While they are very good litigants by definition, their familiarity with the substantive aspects of some of the cases that they handle—some of the stuff they’ve done before and they know and they’re experts in those, but some of the stuff they meet for the first time. There are not that many Landmarks cases. The Commission, in the scheme of things, does not generate that many cases. So it’s important to have someone available to not only facilitate a matter but basically walk them through the dynamics of an individual decision being challenged. Q: Do you have any thoughts on why there are not many challenges to Commission decisions? I think sometimes there is a sense that Commission decisions are challenged frequently. Taussig: It is my understanding that, in recent years in any event, the Commission has been very careful to work in such a way that they attempt to get the cooperation of the property owner. That doesn’t eliminate but it diminishes challenges from the property owner. Indeed, I think—again, the number of challenges from property owners is not great. There was a period of time that it seemed as if the Commission was seeing more challenges from the preservation community. Perhaps it was the policies and practices of the Commission at that time that engendered some of those challenges. But I think the Commission works thoroughly and carefully in taking its actions and people tend not to sue that quickly when that happens. Also I think that the volume of matters considered by the Commission is not that great in comparison to many of the other agencies. Q: Yes. Fair enough. I’d like to turn now, Gabe, to some of the preservation cases in which you were involved. I’ve done some research so I think I can help fill in the blanks. Taussig: Okay. Let’s do it. Q: If you were to help me create a list, are there any that stand out to you? And we can explore these cases further. Taussig: —in terms of either of importance or my assessment of their significance, but one case, and probably just because it lasted so long and it was one of the few losses that we had, was the Rudy case, which I believe went to the New York State Court of Appeals. Q: Can you spell that for me? Taussig: R-U-D-Y. Involving windows on Fifth Avenue in a building near the Metropolitan Museum of Art. Someone changed the windows without the required Commission permission. As for the Grand Central case, I was not—my involvement, indeed the Division’s involvement with the Commission, does not go back to the creation of the Commission. Initially, and for a period of years, another division in the Law Department handled Commission cases. It was only maybe a few years after I started working at the Law Department that the decision was made, that Commission cases would be handled in my division. So there were several cases that pre-date that, including the original Grand Central litigation and some of the initial— I forgot the name of the church case—some of the church cases. But there was a later Grand Central litigation Virginia was involved with back in I guess the late ‘80s, ‘90s. There was the Brady litigation, and that stands out because I think it was one of the few non-architecturally based designations. There was also the Four Seasons case, because as I recall it was an interior designation. We had—I’m trying to recall if this was actual litigation or not, but we had a few enforcement related issues. In various ways, the RKO Keith’s [Theater] in Flushing stands out. In many respects, it has a rather unfortunate history. One of the first illegal teardown cases was also in Flushing where after the fact we pursued it and basically got a substantial penalty that inured to the benefit of a local art organization. But there were several—this is in more recent past—affirmative cases seeking to preserve or compel owners to maintain their structures, and those were challenging. On the defensive end, a matter that recently came back in litigation—I’m trying to think—it’s a house in development on the Upper East Side and the name escapes me. Taussig: Something like that, yes. And I think after I retired, or soon thereafter. I think they came back in sort of hardship or whatever, so I don’t know what came of that. But the original challenge was a significant one. Well, you did your research? Q: That’s a good list. Yes. So your recall is terrific [laughs]. Taussig: Well, were it only so. Q: A few that I have found that, is my understanding, you had some connection with your time at the Law Division. There was a case involving Public School 64. Q: Near Tompkins Square and East Ninth Street. Taussig: I forget that—my involvement with that building goes back to the ‘70s when—and I had forgotten the Landmarks piece of it, but that was later. I was originally involved because of the harassment that was taking place against the SRO [single room occupancy] tenants and our attempt to deal with that. That was followed by the attempt by the owner to have the Buildings Department vacate it. So it was protracted litigation over many years with many issues, Landmarks being one of the later ones. Q: Yes. For the benefit of those listening to the interview later, could you explain just generally what an SRO building is and what the landlord or property owner was trying to do and why? Taussig: Right. SRO stands for single room occupancy. There is no formal definition but it typically describes a building, which could have been a hotel and was converted to long-term occupancy, but not necessarily a hotel. So basically, it consists of single rooms occupied by single individuals. It may have been more popular housing in years past, but more recently it was typically housing that was occupied by poor people. In this particular instance, as was the case in some other buildings during a heated real estate market, where there was the desire to develop the sites, property owners were trying to buy out, force out, tenants. That is what we believe was going on there. It was a large site, a potentially very lucrative site, and the landlord—without going into details of what was going on—it was conduct that we believed was illegal conduct and took action. The landlord not only resisted that but also tried to convince the city that the building was in such a state of disrepair that it was unsafe. While the building needed work, we did not believe at that point that that was the case. We had a series of federal state cases with the owner who eventually sold it to a foreign individual, who basically let the building stand there for years and did nothing with it for years. I don’t know, I’m losing track of time here, but I believe that was around the time when Virginia got involved. In the interim, the community pressed for its consideration as a landmark and indeed it finally was landmarked. The new owner, or potential new owner, wanted to fix it up, deal with the existing tenants in the right way but not deal with the Landmarks piece of it. That’s when I think Virginia got involved. Q: I understand that that case, or the city’s involvement, resulted in a court order that required repairs to the art building. Q: You also mentioned a minute ago a case on the Upper East Side. It’s I believe known as the First Avenue Estate case. I think that was the [unclear 33:42] development partners. Taussig: Yes. Otherwise known as Eastern—something Suburban. Taussig: Yes, something like that. Q: —housing projects that were built for workforce housing on the Upper East Side, of which First Avenue Estate was one. That is a subject of ongoing litigation. Taussig: Right. I believe so. Q: Yes, it was an interesting case where there was a designation, the property was de-designated, designation was reinstated, but in that period the owner of the building took off architectural details from a portion of the building, and yet Landmarks went ahead and designated it, not withstanding the damage the property owner had done. Taussig: Which is one of the issues that also came out I believe in P.S. 64 where that property owner tried to change the dynamics by removing some of the architectural features. Q: Yes. I also came across issues related to the Manufactures Trust Company, 510 Fifth Avenue. It’s a modernist glass-faced building. Taussig: There was something about the interior, I believe, that could be seen from the outside. Q: —within this glass container. Also part of the proposal was to remove these escalators that are visible and to reduce this vault wall. Taussig: I believe that was finally settled. Q: Yes. So what I found is that the city had filed a motion to dismiss after I think the Vornado Realty Trust filed a lawsuit and again there were some issues about disregard, the restrictions that were intended to protect the interior of the space. Q: And that building stands today. Q: I also came across a couple of news clips about cottages at Far Rockaway. Does that ring a bell? Taussig: —who was acting on his own, and I believe was preceding pro se, and was trying to compel the city in many forums to preserve certain aspects of his community. Not only did he pursue it—and quite honestly, I don’t recall Landmarks being involved, but he also sued the federal government because of the—I forgot the name of the federal property there, but feeling that they were not adhering to their obligations in that regard. Q: Yes. My research showed that there were seven lawsuits that this individual filed. He formed a group called Beachside Bungalow Preservation Association of Far Rockaway. At least some of the lawsuits were filed against the City of New York and there were allegations of non-compliance with the Federal Coastal Act. Taussig: That’s what it was. Q: You’re correct. To my knowledge there was no Landmark hook and the city successfully defended itself in those lawsuits. Also, I came across your involvement with South Street Seaport. Do you remember any of your work there? Taussig: I know that there was a proposed high-rise development and I think Robin—I mentioned Robin Binder—I believe that she worked on that particular litigation. But I had a whole host of issues concerning street vending there, but that’s not why we’re here. Taussig: But I don’t otherwise remember Landmark issues with the Seaport itself. Q: Yes. One of the lawsuits I’m thinking of involving the South Street Seaport, your division successfully defended a developer’s challenge to the constitutionality of the zoning amendment, which down-zoned most of the South Street historic district to preserve the existing human scale and historical context. The project that prompted the lawsuit was a forty-three story residential tower that is known as 250 Water Street. That was a city win. But you mentioned Robin Binder. Taussig: She might be able to help more on that. Yes. Q: To find out more about that. Q: Also, I’m not sure if you were directly involved in this, but do you recall any work that you may have done defending the Landmarks Commission’s decision to deny the condominium board’s proposal to remove artwork that was attached to the façade of a condo building? Does that ring a bell? Taussig: Are you talking about Houston Street? Q: It could be. Virginia mentioned the Houston Street issue. Taussig: Yes. Right. There was a work of art facing north on Houston Street and a dispute as to whether its removal required the approval of the Landmarks Commission. I believe it wound up in Federal Court. If it’s the case I’m thinking of then it would have been Virginia again who handled it [unclear 40:25]. I don’t know if we were successful in that. I think there ultimately was a compromise with the Commission and I think there was a reduced version that was agreed to. Q: Okay. Thank you. We can explore that later. Do you recall any work involving a building called the Skidmore House? This was a Greek revival structure. It was allowed to fall into disrepair by its owners. It is my understanding this was the first time that—well a case was brought. This was the first time a court ordered the immediate remedial measures to restore a historic building. Is that a case you worked on directly? Taussig: It was handled in the division. I remember the initial effort to do that. One of the frustrating aspects of my job was the limited ability to enforce the law. That was not only a function of resources, although that was a part of it, but also the lack of teeth in the Landmarks Law. Originally, when we first started, the penalties that were available for violating Commission action or designations were relatively small and typically could be absorbed as a cost of doing business. The one effective tool would have been an injunction action, which was and is a very labor intensive undertaking. And resources being what they were, not that many were brought. The Skidmore House may have been the, if not one of the, first. Some more have been brought since then, but it’s not a particularly gratifying way to go about it. In some instances, you find yourself dealing with absentee owners, owners without resources to deal with it, to deal with the situation. People who inherited the properly and really don’t want to be troubled by it. They want to go to Hawaii. And trying to deal with a person like that—so that was a frustrating aspect of it. Q: Yes. If, again, given your perspective that you developed litigating these cases either for the city or helped defending the city, if there were a change that you could propose to the Landmarks Law, holding political considerations aside, what would be your way to strengthen it? Taussig: Well, I think the problem probably is less the law than resources to implement and enforce it. You could have the best law in the world, and I’m not saying it necessarily is or isn’t, but without the ability to follow-up then it’s meaningless. One of the things I know the Commission still has to deal with, and one of the things that I dealt with in litigation, was the mountain—I don’t know if it’s a mountain—but a significant number of buildings that it has calendared for consideration but not yet acted upon. I suspect that that is, to a larger part, a resource issue. Not necessarily the only reason but there’s just so much they can deal with. It’s a board of volunteers and this is not their full-time job, so that becomes a problem. It becomes a problem from the community’s perspective, they have certain expectations, and from the property owners’ perspective and an enforcement perspective. Again, I understand there are many other priorities in the city. But that is a significant area for improvement to make the Commission more meaningful and effective. Q: And that could be achieved through greater funding, additional staffing. Q: Yes. I appreciate how you mentioned that a lack of enforcement resources can affect community perception. Could you elaborate a little bit more on that? Q: And how do you view the Landmarks Law as being perceived by the public in New York? Taussig: I don’t think there is one view. I think it depends on who is looking [laughter]. But I think from everybody’s point of view to simply go through the formalities of designating, then not being able to take action with respect to those who ignore the designation, sends a message to those who are for the Landmarks Law, as well as those who don’t necessarily support it in terms of what they can or cannot get away with. So I think everybody proceeds with a certain assumption that when a law or an action is taken it will be adhered to and enforced. Once they see that that is not the case then everybody’s approach and attitude just changes. Q: It weakens the rule of law. Q: Or rather a lack of enforcement weakens the rule of law. Taussig: Yes. It makes those who support it disheartened, cynical, however you want to characterize it. And those who take issue with the designation feel that they can proceed as they will, without concern for the designation. Q: It almost provides a way to exploit the weakness in the law that is not enforced. Taussig: And, you know, it’s not brain surgery; it’s a common sense assessment over the way the people react to the situation. Q: Yes. No, that makes a lot of sense. Q: Okay. One case that I have not mentioned that I would say was part of your litigation portfolio or preservation portfolio would be the St. Bartholomew’s Episcopal Church. Taussig: That was one of the cases that I mentioned pre-dates us. I’m aware of it, but it pre-dates my division and my involvement with the Landmarks cases. Taussig: We addressed issues concerning the designation of religious institutions in subsequent years and to a large extent that was not even in litigation but in response to proposed legislation and how to best deal and respond to that. So that was, I remember, extensive involvement with Dorothy Miner and indeed City Hall as to how to—there were several proposals including those I believe generally to preclude the Commission’s ability to designate religious institutions, which never passed but it was close [laughs]. Q: Do you recall using the St. Bart’s case—and by the St. Bart’s case I’m referring to the court opinion that addressed the takings issue and the pre-exercise issues raised by the church—do you recall ever asserting that in litigation? Taussig: I do not have a specific recollection. Q: No. Thank you for clarifying that. Did you ever work with someone named Sinclair Armstrong? Taussig: Does not ring a bell. Q: Okay. Did you ever work on any of the litigation that Virginia Waters told me about involving the Broadway theaters? I think there was a lawsuit brought by the Schubert organization. What do you recall about that? Taussig: They were represented by a former corporation counsel. Allen Schwartz had been a corporation counsel and he represented the Shuberts in that litigation. Q: —when the Penn Central case was already before the Supreme Court. Taussig: Yes. He just came in just before. Taussig: I have seen Len argue several times and he amazes me every time. He’s just, the expression is, “As smooth as butter.” I mean he’s just excellent. But, yes, I wasn’t there for that but I’ve heard that story too. Allen Schwartz was the corporation counsel during the first four years of the [Edward I.] Koch administration. It was soon after he left that we had the Broadway theater litigation and he represented the Schubert organization on that. Q: I did not know that. Thank you for telling me that. We’ve touched on Grand Central a couple of times. Is it correct that you were not yet working for the city when Penn Central was argued? Taussig: In the Supreme Court I was. Q: You were working. Okay. Taussig: Because it was argued in ’77, around there. Q: Yes. The decision came out in ’78. Taussig: Right. So I started in ’74. Taussig: But it was not on my radar, as it were, because I was not involved with it below and indeed Landmarks cases were not in my division at the time. Q: Do you happen to remember anything about the victory when the decision was announced? Taussig: Not really. I’m sure I was generally aware of it but I have no specific memory of it. Q: But as you said, it wasn’t part of your division’s work. Q: One question that I didn’t ask you earlier, we were talking about what drew you to law, was once you were in Law School, did you have a focus in Law School, if you could call it that? Taussig: Well, A, I went to a Law School that didn’t necessarily accommodate that. Q: As most don’t. [Laughs] Or did not. Taussig: My job search generally was public sector. I kind of knew that’s what I thought I wanted to do. When I first started working for the city, I didn’t see that as a career. I had heard, and I suspect it was true then and true now, that it’s a great place to get experience, but I wasn’t focused on making it a career to begin with. It evolved over the years as I began to realize that I really liked what I was doing and kept on doing it. But in terms of what area of the law I was going to be working in, not really. And indeed when I joined the Law Department there were a dozen divisions I could have been assigned to, and it was the luck of the draw that I wound up where I was. People were not hired, as they are now, for specific divisions. They were hired for the agency. Taussig: In fact, when I joined, I took a civil service test, and I came in through civil service, so I was not that focused. Q: Yes. Was your first job at the city? Taussig: Yes. First legal job. Q: Okay. Thank you for clarifying that. Yes, there are often I think a perception that lawyers immediately focus on one area of the law. Taussig: But among my responsibilities over the years I had to conduct interviews for potential hires, and I know not everybody was necessarily being forthcoming with me, but for the most people came into it with a pretty open mind. There were things I didn’t want to do, but I was less clear about what I wanted to do. Q: Yes. No, that makes perfect sense. Do you remember some of the work that you did while working for the city? The city litigated many administrative law cases, which even though they may not have been directly concerned with Landmarks had potential implications for preservation. Among these are the Clear Channel Outdoor vs. the City of New York. This was a case that challenged billboard restrictions. Do you remember anything about that case? Taussig: That was more recent. Taussig: Yes. There are aspects of the billboard litigation that are still going on. But, yes, it was a series of challenges to the zoning provisions governing the city’s regulation of outdoor advertising and—I don’t know. Q: Yes. And as you say it’s ongoing. Taussig: Well, it’s ongoing in the sense that the city prevailed defending the constitutionality of the zoning restrictions. There is now litigation involving individual billboards and whether they were grandfathered or not. So I think there are less constitutional and more traditional administrative issues involved. Q: Okay. I think I’ve recalled the name of the artwork case we were talking about, the condo building. There was an artist named Forrest Myers. Taussig: Rusty Myers or Red Myers. Q: I had Forrest Myers. Taussig: Yes, but he had a nickname. Yes. Q: Okay. Or last name of Myers [laughs]. Q: The address was 599 Broadway and there was a ruling that the judge ruled that the city would have to compensate the property owner for re-installation of the artwork on the landmarked building, but that the city eventually settled with the owner. Taussig: Right. That was my recollection. Q: As you recall. Virginia discussed that case as well. Taussig: Interestingly, as I recall, the artist was very much on the scene in terms of litigation and consideration of what should or should not be done with the artwork. Q: —on the basis of an erroneously issued permit. Can you tell me all about that case? Taussig: Yes. I was literally involved from the beginning in that one. It started when a member of the local community who was actively involved in land use issues, who was intimately familiar with the zoning restrictions, noted that a building that was in the process of being erected was too tall under zoning, and filed a complaint with the Buildings Department. They confirmed that that was the case, but there was a permit issued authorizing that. The problem was that the zoning map, and the line indicated on the zoning map, arguably—and the developers believed to be the case—was inaccurate. There was some ambiguity in that respect. But the Buildings Department, based upon the fact that the permit did not conform with the zoning as enacted, with the legislation that was in effect, revoked the permit. That revocation was challenged —ultimately to the State Court of Appeals, which sustained the revocation. There were subsequent attempts to get a variance to authorize the taller construction. That was denied, and after further litigation that denial was sustained. Ultimately those twelve stories were removed. The building wasn’t completely constructed. It was the superstructure that was up throughout all this. Q: Do you recall approximately, where this building is located? Taussig: It’s on the Upper East Side. I don’t remember exactly. The reported decision would have it. I don’t recall. Q: Yes. Okay, that resulted in a reported decision. Can you think of any other cases that you think are significant for the future of the Landmarks Law that we haven’t discussed? Taussig: Well, there is one pending right now involving Grand Central. It post dates me. But the owner of the building is challenging a re-zoning of the district claiming that it diminished the value of the air rights to the point of—I’ve read the complaint. Q: I think it may be a spot zoning challenge aspect to it. Taussig: It’s a spot zoning challenge, but it’s a takings, and several other constitutional challenges. It’s in federal court and it is in the process of being litigated. I don’t know exactly where it is at. But that, not only for the symbolic aspect of the fact that it involves the Terminal, but it may be a vehicle for the Supreme Court to revisit some of the issues that people think or thought were resolved. Q: Yes. Gabe, why don’t we take a five-minute break? Q: And we’ll start right back up. Q: Okay, Gabe, we’re back on the record after our short break. I wanted to clarify a question asked earlier about the St. Bartholomew Church litigation. The St. Bart’s opinion that we often talk about, which was decided in 1991, represented a number of things, but certainly established a precedent in New York City and elsewhere that the Landmarks Commission did have the authority to limit the ability of the St. Bartholomew’s Church proposal to build a tower on a property it owned next to its sanctuary. Among the claims that were raised in that lawsuit there was a takings challenge that the city successfully defended as well as a free exercise challenge, that the city ultimately successfully defended. You mentioned to me that you were not directly involved in this case. Do you recall the name of an attorney, or attorneys, who likely handled the case directly? Taussig: I believe it would have been Jon [Jonathan] Pines who is now the Deputy Chief in the General Litigation Division, in the Law Department’s General Litigation Division. For quite a few years he was handling cases related to the First Amendment intersection with the Landmarks Law, and I think in that context, was probably the one handling that. Q: Okay. And to your knowledge, he’s still working with the city. Q: Okay. Thank you for that. I want to change or shift gears now to look at some of your working relationships during your time in the city’s Administrative Law Division. You mentioned that you worked often with Dorothy Miner. Q: Do you recall other working relationships with the Landmarks Preservation Commission during your tenure? Taussig: Well, clearly Dorothy was the first and foremost. But there were others in the Commission who I recall interacting with, although I don’t remember the specifics of those interactions. One was Lenore Norman who had been, I believe, the Executive Director. That stands out. We had occasional interactions, depending on the issue, with some of the chairs, Gene Norman I remember. I’m sure there were others, but. Q: Yes. Do you remember any particular anecdotes about your time working with Dorothy Miner on any particular cases? Taussig: —when it was established. Basically it was the sense of not only myself but others who have worked with her that she epitomized the ideal agency general counsel. She was committed, she was bright, she was knowledgeable, cooperative, all the traits you would want in an agency counsel. Q: In any of the cases you recall working on, did you happen to ever come in contact with any members of, let’s say, the preservation bar that represented the Municipal Arts Society and the New York Landmarks Conservancy. Lawyers like Ralph [C.] Menapace or Paul Byard? Taussig: That’s right. Menapace Fellow. That’s right. I believe one of the early ones subsequently became a lawyer and worked for the Law Department, John Low-Beer, and I think he had some interactions with us. Another attorney, who I know is very active with the Municipal Arts Society, who I have interacted with to some extent on the Landmarks issue but more on other land use issues, is Michael Gruen. I think he was active with the Society. I don’t believe he worked for it. Of course the land use attorneys who from time to time represented these groups. Q: Do you recall anyone by name? Q: Do you know Al Butzel? Taussig: I know him, sure. That’s more recent. I believe than in the past. Jeff [L.] Braun, frequently represented developers in litigation. You know, there were several attorneys who tended to represent community groups in various land use related matters. Q: Okay. Do you recall observing any changes within the Landmarks Commission through the years, in terms of how the Commission may have changed as a new chairperson took over? Taussig: I think that in the years past the Commission had periods where it was more active in its designations. Again, there’s a certain logic to that because it started off with a clean slate and having addressed many situations, many buildings and communities as the pool kept on evolving and developing, the pace was not always the same. So I think in years past, the level of activity was in part a function of the chairs but also other considerations, I think that with respect to designations the Commission in the beginning was more active than it is now. Q: Do you think that preservation advocates have been a factor in the City’s legal strategies over the years in terms of administration of the Landmarks Law? Taussig: To some extent, part of that is reactive not necessarily pro-active. But clearly, there were instances where the advocates had a point of view with respect to the law that the Commission and we disagreed with. Those tended to be more procedural than substantive. They were not always in agreement. The Commission and advocates more often than not were in agreement, but not always. Q: Do you recall meeting with any of New York’s preservation advocacy organizations over time or did they tend to deal directly with the Landmarks Commission’s attorneys? Taussig: I think clearly most of the interaction would be with the Commission. There may have been one or two meetings that I attended but that would have been rare. Q: Okay. If I’m correct you’ve worked under five mayors, five or six mayors. Could you list them? Taussig: Well, I was a baby but [Abraham D.] Beame was mayor, Ed Koch, David Dinkins, [Rudolph W.] Giuliani and [Michael R.] Bloomberg. Q: Okay. So that is five [laughs]. Q: Can you comment on their different attitudes about historic preservation? Were there any who stand out as being—? Taussig: Beame didn’t impress me one way or the other in that regard. I was a junior attorney and just had no occasion to get a sense of that. I think for the most part my assessment is not so much based upon the mayors, but rather the people they appointed, because I did not have that frequent interactions with mayors in my job. I did on occasion, but I quite honestly don’t recall having any Landmark related interaction with the mayors. But in terms of the commissioners they appointed, I believe Ed Koch was very supportive. He hired some very competent, pro-active people. I think the same can be said for David Dinkins, although I don’t think he was there that long to have that large—I mean, he was there for a full term but did not seem to have much of an impact on it. I think Giuliani pulled in the reins a little bit, and I think his commissioners reflected that. I think Bloomberg was supportive. I think there was, if you will, a new day again at the Commission once Bloomberg came in. Q: Do you think it’s fair to say that Mayor Koch could be viewed as the strongest mayor in terms of historic preservation law? Taussig: I’m reluctant to say the strongest. I think it may be the case because he had the predisposition to support it. But also the circumstances were such that he had the opportunity to do it. Q: He was mayor for twelve years, right? Taussig: Well, so was Bloomberg, but he was mayor during the beginning, if you will, of the Commission’s work and a lot happened. By the time Bloomberg came, there was a lot to be done but not to the scale I believe of those earlier twelve years. Q: Do you see a difference in how the City approaches the administration of the Landmarks Law today compared to the ‘80s or ‘90s? Taussig: I think it’s less confrontational. That probably is the most significant difference. Q: Do you attribute that to the fact that you mentioned earlier that the Commission tends to work more practically with property owners now on the front end of a designation issue? Taussig: I think another factor is that there are property owners who—the City having had the experience that it has had with the Landmarks Law, all the evils that were feared and contemplated have not taken place, so those fears are somewhat addressed. I think the Commission has on its own made changes that made the process more friendly to property owners. Again, I don’t mean that in a pejorative way, but just more user friendly for property owners and their interaction with the Commission and I think all of that helps. I think all of those changes are to the benefit of the law and the work of the Commission. Q: Yes. Have you seen the attitudes of judges and lawyers change towards preservation and Landmarks? I know in my own experience there is sometimes a lack of knowledge about preservation law, for example. Taussig: Well, a couple of things. Most of the litigation activity, I think was in New York county, in Manhattan. So those judges tend to see more and became more educated relatively quickly. Indeed, the hostility that has been encountered, and I think probably still exists to some extent, are in those counties and those boroughs of the city where there is less familiarity, generally as well as among the judiciary, and may again be a function of history as well as cultural or civic values in those boroughs. Q: Yes. That judicial education aspect to what you just described was an observation shared by Virginia Waters as well. Taussig: Yes. Early on, in the early years—I don’t think I’m telling tales out of school—it was pretty much a foregone conclusion that Landmarks was not going to succeed in Queens in its efforts to landmark. The whole scheme of things had the, then, Board of Estimate—which was found by the US Supreme Court to be unconstitutional since then—review the designation determinations of the Landmarks Commission. The Board of Estimate consisted of the five borough presidents, the mayor, comptroller and the city council president. Often individual land use decisions, which came before the Board of Estimate, were controlled by the president of the borough where the property was located. That official had the up or down vote and the others often followed. It was generally understood that, when it came to Queens, designations were not going to be approved because of Donald Mannes, who at the time was Queens Borough President, and it was generally believed that he was, on principal, not sympathetic to landmarks. So I think that reflected the mind frame—the thinking—and that was—this was thirty some odd years ago—but all that has changed and today there are quite a few districts and buildings designated in Queens. Nevertheless, I think there are still some remnants of that mindset, not only in Queens but in some of the other boroughs. Q: Yes, Staten Island among them. Taussig: Staten Island being one of them, yes. I think more Staten Island now than Queens but, yes. Q: Have you ever collected any archives of your own related to preservation law or casework? Q: No. [Laughs] And if you had, would it be with the city or did you maintain files—? Taussig: I mean, to a point I maintained files and they are where they are with the City. However once the computer came in just about everything I had was recorded there, as opposed to hard paper. That’s the way it evolved. Q: Yes. Do you have any thoughts about why preservation law is often singled out as being, I don’t know, difficult or negative in a way that other land use laws are not, like zoning? Taussig: I think that although to a significant extent preservation law contemplates the preservation of broad areas and districts, a common perception continues to be that it’s just individual buildings that are the subject of the Landmarks Law. That is true to a point but clearly I don’t believe to the extent that it is perceived to be and I think that, as a result, people feel picked on and people sympathize with those who are seen as being picked upon, “Why is this one individual bearing the societal burden?” I mean we’ve seen the litigation, but I think it reflects the common perception that government is, again, picking upon individual property owners and there is a sense of unfairness about that as well as this country’s commitment to property rights. Q: Is there something that preservation groups could do better to help meliorate that perception? Taussig: I think the effort has been made to educate with respect to societal benefits. I don’t know how that could be done better but that’s the message that needs to get out there, that society as a whole benefits, and to some extent, to address the concerns that the property owners whose properties have been landmarked are being picked upon or somehow bearing an undue burden. Clearly, education would help. I don’t know that I have the ability to describe an effective educational campaign in that respect but that, I think, is the way to deal with the popular misconceptions. Q: Would or could—I guess municipalities generally, perhaps, do a better job at making incentives available, financial incentives available to owners of landmarked properties, tax abatements, historic rehabilitation loans, tax credits, transfer of development rights programs. Taussig: Well, some of that exists. Q: Some of it exists. But it’s not necessarily widely used or wide spread. Taussig: Right. Right. That would be great, but none of that comes without consequence in terms of the City’s resources, the City’s need to run. Clearly that would help but, again, to where we started, trying to keep a balanced view of things, I could see that people would see how that hurts also. Q: Do you think that preservation law in New York City is headed in the right direction? Taussig: I think so. I’m not aware of any significant stumbles, if you will. I’m not aware of anything that’s dramatically threatened, or that the City is about to lose any significant resource. In that respect, yes. Q: If you were giving advice to young lawyers coming out of law school who are interested in working on preservation related cases, is there any particular advice you could give them about how to pursue work in the preservation field? Taussig: Well, the opportunities are few in a sense that—let me rephrase that, the opportunities to make a living at it are few. I suspect that there are always going to be people who are involved who would be happy to receive pro bono assistance, but it’s either with government, with some of the better endowed advocacy groups, or with the property owners. With respect to the property owners, I don’t know that they would necessarily focus on someone whose main career goal is to deal with landmark issues. I think they have multiple issues, so I don’t know if that’s the place to go. Even if you come to work for government, unless you’re working for the Commission, which I believe has two attorneys working for it, those opportunities are not as focused. So I think you need to be prepared to deal with the broader spectrum of issues, albeit they could be related issues. I realize my focus is the New York City, and I am not sure how this plays on other jurisdictions, but working for government is probably the best opportunity and pro bono work would be the other. Q: Yes. The last question, and it’s sort of a big one. I know that you have received a number of award through your career but there is one in particular that stood out to me that was given to you from the American Bar Association, which was the Government Service Award. One of the things that was striking to me was that you were not only involved in preservation related cases but had done groundbreaking work in the city on issues involving public health, the Calorie Law in New York City to help guiding the Health Department’s response to the HIV/AIDS crisis, First Amendment Rights, quality of life issues, including installation of GPS [global positioning systems] systems and credit card processors. A lot of work during your career has made living in places like New York City easier and more pleasant. I don’t know, is there any kind of common thread that you can find through the work that you have done that helps knit these different areas together? Taussig: Well, clearly, that was the aspect of the job that I loved, and miss the most, was dealing with matters that make a difference, that made a difference. I don’t know too many opportunities that one encounters in a lifetime to do that. The land use cases clearly effected communities as a whole. Some of the issues that I was more intimately involved with, on a personal level, were the use of the streets, the street vending, the parades, the newsstands, the sidewalk kiosks and the like. None of them is necessarily in itself dramatically important in the case of the overall city, though it may have significantly affected individuals. But as a whole it affects the fabric of the city. While you don’t think about that on a day-to-day basis, every once in a while you step back and really appreciate that that is satisfying and gratifying work. Q: Do you see preservation as an absolute part of contributing to that fabric? Taussig: Absolutely. Absolutely. An important part of it. Perhaps more important where we are right now [Manhattan] as opposed to where I live, which is Eastern Queens, which is less amenable to those kind of historic—although there are historic elements there but, less amenable to those historic considerations. Q: Final question to you, and it’s hard given your incredible track record as a lawyer, but if you were to pick a maybe proudest moment in terms of preservation law, what would that be? Taussig: In terms of preservation law? I may ask you to pause that while I think. Taussig: I think that—and this may be a function of who I am, rather than anything else—but making sure that there is a fair process in place as opposed to focusing on one particular action or decision. From an overall perspective every once in a while there were challenges or issues that came up about the process, about the fairness of that process. I think the overall integrity of the Landmarks Law and the work of the Commission, at the end of the day, can only be maintained if there is a general understanding and agreement that everybody has been given a fair shake. Procedural issues are important and I believe that to that extent that—I did have some role. Fairness and the perception of fairness are important to the continued viability of the Commission. Q: Well, I appreciate your time today and I have certainly learned a lot from you. Taussig: Thank you and good luck with the project. Q1: Date is July 11, 2016. My name is Liz [H.] Strong. We are here interviewing Gabriel Taussig for the Legal Lens Oral History Project with the New York Preservation Archive Project. Q2: And the videographer is Anthony Bellov. And [claps] we’re live. Q1: Great. So just to begin with, you worked on such a wide variety of cases for the city, and I’m curious about your perspective on preservation within that broader context. What role did Landmarks play in the overall health, character, and public environment of the city? Taussig: Well, my role at the New York City Law Department was to head up a division known as the Administrative Law Division. In that capacity, I oversaw all litigation related to the city’s regulatory activities, and that of course included the work of the Landmarks Commission, which is, among other things, a regulatory agency, and more specifically a land use related agency. In that context, the Landmarks Commission plays a very important part in maintaining certain aspects of the aesthetics of the city, as well as character of many of the city’s neighborhoods, and helps preserve important aspects of the city’s history. My role was to oversee the defense of cases brought by those who challenged the actions of the Commission in court. Q1: How were preservation cases different from other areas of land use, and so forth, that you worked on and in what ways were they similar? Taussig: Preservation cases were similar in many respects, technical respects, in terms of how they were litigated. But they seemed to attract much more attention from the communities involved, as well as from the city as a whole, and the press as a whole. They seemed to have a certain, I don’t know, je ne sais quoi, in terms of people’s interest. Considering the number of cases, which we were called upon to handle and compared to other agencies, there were not that many, but they seemed to engender quite a bit of interest from the public at large and, as I said, the press. Q1: Was that ever an asset or a hindrance in any of these cases? How did that change the way you interacted with them? Taussig: I don’t know that it was either. Clearly, it was one consideration that made them popular among the attorneys who were called upon to handle them. They enjoyed that aspect of it. But in terms of the actual technical aspects of litigation and having to deal with the law, I don’t know that that was all that different from what we had to deal with in defending other agencies. Q1: So over your time there, how did the way these cases were handled change over time? As the case law developed, think about major turning points in the way they were handled, the way they were thought about, the way they were viewed, or even just the way you personally thought about them. Taussig: Well, in some aspects, again in the more generic general aspects of the legal issue, it didn’t change all that much. But in terms of the specifics of the Landmarks Law, clearly we were making law as we went along, because there were issues raised concerning the law, which were not considered by the courts before. In that respect, we were able to establish certain precedents that later on in future litigation became less of a concern. Q1: Give me an example. Taussig: Well, one example could be the deference that was given to the Landmarks Commission. Now as a general principle, the courts tend to give certain deference to administrative agencies with expertise in certain areas. But that was not that clear in the beginning of our litigation of Landmarks cases. But after a while, we saw that the courts were indeed, to a great extent, giving deference to the judgment of the commissioners and the expertise they were bringing to their decisions. Q1: What do you think advocates for preservation need to know about the legal side of things, or vice versa, what do you think people in the legal world need to know about people who bring things to the counsel? What do you hope they would understand about each other that maybe they don’t, if there’s a disconnect there? Taussig: Well, I think there are two questions there. Taussig: In terms of advocates, or anyone really who has to defend an administrative agency, the thoroughness, and quality of the record, that is the facts that are established before the administrative agency, are crucial. The law will just get you that far. The certain presumptions that you might think exist, will just get you that far. A strong record is crucial to the successful defense. So anyone who is advocating a particular position for the Commission, needs to do their homework, and a thorough record needs to be presented to the Commission. The Commission has its own staff, and they know that, and they are thorough in the preparation of their records. But it is a thorough record that makes a case the most defensible. Q1: How do you think the Landmarks Law is perceived by the general public? Taussig: I don’t know that there is one perception. I think it varies. In fact, I think it varies among communities and, in fact, among certain boroughs. There was, in the beginning, a hostility to the Commission’s actions and attempts to preserve certain communities, because property owners feared that it would affect the value of their properties, that it would have a negative impact on their properties. I think that is history. I think experience has taught us, and I think most people, that in fact Landmarks Commission’s action, and the landmarking of certain districts, if nothing enhances values. Now there may be discrete individual problems, for individual property owners, but as a general proposition I think that notion has been overcome. Q1: Do you mind if we take parts of that again. Outside the context of my question, it wasn’t clear you were talking about the Landmarks Law specifically. So just, you know, begin by saying your thoughts of the Landmarks Law, and then what your thoughts were. Taussig: I think there are certain communities, or certain people—not certain people. I’m going to start that again. I think there are those who fear that the Commission’s designation of districts and the like would have a negative impact on the value of their properties. At least in the beginning that was a pretty popular conception and, indeed, I think now a misconception. History has taught us that if anything the designation of an area as a landmark district has enhanced values of properties, and I believe that the general public has more or less come to accept that. There have been individual instances where there have been individual problems where that may not have been the case. But for the most part, I believe now that the general understanding is that designation of districts, if anything, enhances the value of property. Q1: Have you, living in the city seen the impacts of your own work personally in certain areas? Like is there a place you can look at that says it wouldn’t be like this if it hadn’t been for this, that, or the other? What are your personal connections to this? Taussig: There are certain properties that were the subject of litigation that I was involved in. I hesitate to take personal credit for that because there were many people involved. But clearly, Grand Central comes to mind. Although I was not involved in the original litigation, which went to the Supreme Court, there was subsequent litigation and attempts to do certain work with the terminal that did not succeed, which I was involved with. The landmarking of the Broadway theaters district was another case that I was involved with, and the notion that the theaters, as we now know them as they exist, and will in all likelihood continue to exist for some significant amount of time—I’m a theater goer and when I’m in the theater I take pride in that. Q1: Do you have a proudest moment from—? Taussig: Proudest moment. I don’t know if I could pick one, really. Nothing stands out as being more significant than the rest. Q1: You brought up the Penn Central case, so I’m wondering if you can say a little bit about that. But in doing so, just start out by saying this is the Penn Central versus the City of New York, or this is the Grand Central Station case, and then elaborate on whatever thoughts you have. Taussig: Well, the Penn Central litigation involving the original challenge to the designation of Grand Central Terminal, which eventually wound up in the United States Supreme Court, was a significant case not only for the City of New York but for land use and landmark regulation throughout the whole country. It is a benchmark in so many ways and in so many aspects of the work that we do in the land use area generally, and in the landmark area specifically. It is constantly being relied upon as we continue to defend the actions of the Commission, and a strong statement by the courts that the city’s efforts in this area are appropriate and proper health and safety measure, and it is vital to our continued success in the area. Q1: What are your thoughts about, just to elaborate on that, maybe compare something specific before, or something specific after, views, strategies, anything to kind of show that as a turning point. Taussig: I’m not sure I understand the question. Q1: You say it was sort of a major benchmark, and is important for how landmarks and land use generally—I’m wondering, to make that concrete, if you could think of an example of how something before that case would have been handled, or something after that case. It’s very open-ended, which it is probably why it’s confusing. But anything that comes to mind that could illustrate the importance. Taussig: Well, I think the most significant aspect of the Penn Central litigation is the fact that the Supreme Court left no doubt that localities, such as the City of New York, can regulate aesthetics. Up to then, it was clear we could deal with the health and safety issues in a more traditional way. But it wasn’t until the Supreme Court was heard in the context of Grand Central that any doubt that may have existed in that aspect of the city’s powers was swept away, and going forward, the city was able to deal with aesthetics with little viable challenges. More recently that came up in the challenge to the city’s regulation of outdoor billboards, where the city, in furtherance of the Federal Highway Beautification Act, established rather stringent limits on where billboards can be placed. That was challenged, of course, by the billboard industry. The precedent, established by the Grand Central litigation with, respect to our ability to regulate aesthetics, was crucial to our success in that litigation. Q1: Thank you. That was perfect. Just to get specific, you said some great detailed things in your interview with Will about Dorothy Miner, and I would love to get some of that on video. Q1: Just tell me open-ended, at first, a little bit about who she was and what it was like working with her. Taussig: When I first started handling landmark litigation, litigation for the Landmarks Commission, Dorothy Miner was the agency’s general counsel. She was unique in many respects. First and foremost was her commitment to the mission of the Landmarks Commission. She was knowledgeable in a way that few people were about landmarks law. But she was also knowledgeable about the technical aspects of the landmarking process, as well as aesthetic considerations of the Landmarks Commission. She was the whole package in terms of her ability to effectively represent the Commission and its work. She was driven. She was driven in a positive way in making sure that the Landmarks Commission’s best side was always presented to the court. She was involved in the litigation that we were called upon to defend in a level of detail that I don’t know that any other agency counsel was able to do. She reviewed papers in miniscule detail to a point where some attorneys were not all that happy about it [laughs], but she did nothing but add to the quality of the work we ultimately presented to the court. Q1: Didn’t she give you a sit down at some point and ask you about your—? Taussig: Well, that was a mutual sit down. Yes, at some point I—as I mentioned before, I represented many city agencies in their regulatory capacities, and one of the things that I did, and continue to do in my time there, was approach things with a skeptical eye, just to make sure that what we presented to the court was the agency’s best position. So sometimes, I would push back. Dorothy sometimes saw that as being less than committed to the Commission and its work, which led to, literally, a cup of coffee between her and myself where we—I explained where I was coming from, and she explained where she was coming from, and whatever tension we may have had before dissipated, and we had a great relationship from then on. Q1: Elaborate on your position there a little bit, why it’s important for you to remain neutral and think about things from these different perspectives. Taussig: Well, as a lawyer for the city, I saw my role as being somewhat slightly different than just an advocate for the agency. The city’s interests were typically aligned with an agency. But if the agency was doing something inappropriate, or if the agency went about doing something in an inappropriate way, it was not in the interest of the agency or the city to have a court call them on that. So to the extent that we saw that ahead of time, and could address that before it went to court, I saw it as my role to look for that and try to have it resolved. That’s not to say that I was there to second guess a judgment call of the agency. I never did that. But if there was a procedural defect, or something of that nature, that could be ameliorated, or would undermine the ability of the agency to proceed, I would try to adjust that before we had a court address it. Q1: Talk to me about the balance of those relationships, people who get to be focused on the advocacy, and professionals such as yourself who have to handle the litigation side of it. I guess just, yeah, what is the balance there, what is the relationship there, why is that an important direction to have? Taussig: I think it is important for the agency to have an in-house lawyer who is a committed advocate on behalf of the people, of the commissioners who work there. They’re entitled to that, and they’re entitled to make the most aggressive statement possible. That having been said, while we at the Law Department are also committed to aggressive advocacy, as I said before we also need to try to keep a bigger picture in mind, and to the extent we see a deficiency we will have that conversation. It’s a healthy conversation. Sometimes one convinces the other or the other convinces, whatever, so that at the end of the day hopefully we wind up with the best product. Q1: Going kind of in the other direction, stepping outside of your professional view, what are your personal thoughts about landmarks in the city, and what they mean to you, what your interaction with them has been, anything like that? Taussig: Interestingly enough, when I joined the Law Department back in the mid ‘70s, I didn’t necessarily have landmarks on my radar, if you will. I was going to work for the city. I was assigned to a division where it turned out we were representing the Landmarks Commission. It was only then that I really began to focus on the Landmarks Commission and its work at a level beyond kind of the casual observer. I was aware of the Commission, I was generally aware of landmarks. I paid attention to what was going on in the city. But doing that work gave me a heightened appreciation of the work of the Commission, forced me to focus a bit more on the specifics of what was going on, and gave me an enhanced appreciation of the city, of the history of the city. I was a student of history but this gave me a slightly different perspective and a different appreciation, which I don’t know that I would have had in a different context. Q1: Everything is totally different since I’ve been doing this kind of research. Just the way I look at it. The way I walk around. I only have a couple more questions for you. You’re doing great at this. Everything is contextualized, everything is explained, so we haven’t had to go over many of them again. One thing I do want to get your thoughts on is just tell me about where you see the future of preservation in New York City. Where do you think its going? Taussig: I don’t know that it’s going to be all that different from what it is right now. Of course, as history evolves, and more buildings become eligible, we’re going to see more buildings designated—different types of buildings, a little more modern buildings possibly designated. In that way it’s going to evolve. But basically follow the evolution of the history of the city. But in terms of the law, and the ability of the Commission to do what it does, I don’t see that much of a change. Typically, these types of things respond to problems that are identified. While there are certain technical problems that have been identified in recent times concerning how long the Commissions considers the property, and the like, I see that more as fine tuning rather than broad stroke changes to what the Commission does or how it does it. Q1: We’ll just go over that one more time, because we got a buzz, and also because you started out by saying “it” probably won’t change. If you can just say specifically what will be changing. Then you made another great point where you said these types of things respond to certain problems. If you could just say what those types of things are. I assume changes in the law and cases that come up in response. So just, as naturally as you can, one more time through it. Thank you. Taussig: I don’t anticipate there is going to be a significant change in the city’s approach towards landmarking. It seems to be working well. While there might be changes as to the types of buildings that are designated, that’s a reflection of the fact that, under the Landmarks Law, after thirty years buildings become eligible. As the history of the city evolved, more modern buildings were built. Well, in the future, more modern buildings may be designated. But that is a natural parallel to the evolution of the city. The fact is that changes to the extent they occur respond to problems, and I don’t know that problems have been identified with respect to the work of the Commission. There have been some technical issues that have come up recently. For example, how long the Commission takes to consider a particular property. But I see those as more technical problems rather than broad stroke issues that need resolution. Q1: If you could make any changes or improvements to the law, or how the Commission operates—in a perfect world what would those be? Taussig: I don’t know that I see anything that requires—I think the Landmarks Commission’s biggest issue is one of resources. The problem it has encountered with respect, for example, to how long it takes. There are several aspects or several forces at work there. But a significant one is the fact that they don’t have enough people to do a thorough and complete job that’s necessary to do effective landmarking. They take longer and things have to wait. But in terms of their powers, as defined in the law and the like, it seems to be working. Q1: I guess one of the last things I want to ask you is just if you have any specific cases that you worked on in the area of preservation that you’d want to go into, that were fun, that were rewarding, that were a pain that stand out in memory. Taussig: The cases that stand out in my memory are the ones that were novel. One involved I think it may have been the first, if not the first, one the first designations of the building for historic reasons rather than for aesthetic reasons. That involved a photo studio of Matthew Brady, which was one in an undistinguished building, doesn’t fit typical profile, if you will, of a landmark building. But it was important to the history of the city, indeed of the country, and raised interesting issues about the power of the Commission, and the scope of the Landmarks Law, and it clearly established the authority of the Commission to designate solely for historic reasons rather than aesthetic reasons. I think the popular notion was that the Commission was there to preserve properties for their aesthetic values and this confirmed that it was not limited to that extent. A similar novel issue was the designation of an interior site as opposed to the exterior of a building. Again, I don’t know if it was generally understood that the Commission’s powers could also extend to the interior of the building. One of the first, again if not the first, designation of the interior was the Four Seasons restaurant. I believe that went to the New York State highest court and it confirmed the power of the Commission to focus on an interior of a building, solely on the interior of a building, and designate it for historic purposes. Q1: What do you think are the benefits and drawbacks of holding up cultural or historic reasons for designation over maybe aesthetic? Is there a way that it’s going that might be problematic, or a way that it’s going that’s definitely good? Just what are your thoughts? Taussig: I think that to the extent the Commission decides to focus on historic, as opposed to aesthetic considerations, so long as it is careful in doing so. By that I mean this city is chock-full of history, especially Manhattan, and I guess you can identify some historic connection with just about any intersection in the city, but that’s not going to work. To the extent that the Commission proceeds carefully, and doesn’t over do it, if you will, then I think it’s great. I think it’s important to preserve historic sites so long as one doesn’t over do it. Q1: Perfect. Thank you. Is there anything else that you would like to be on the record? That is all the question that I have prepared. Taussig: You know what you want.